I hope none of you local types have made plans over Columbus Day weekend, because there is a musical event happening over that lovely long holiday weekend that you do not want to miss. 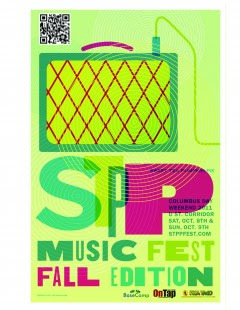 October 8-9 will see the return of the Sweet Tea Pumpkin Pie (STPP) Fest, a free two-day musical festival featuring over 125 bands from both the DC environs and further afield. Oh, did you catch that free part? I'll be at The Islander all dang weekend, so make sure to stop by, check out some amazing music, and say howdy. Stay tuned for more details, friends.